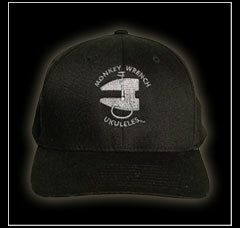 Baseball cap embroidered with the Monkey Wrench logo. Unstructured flex fit, Sizes S/M L/XL. Free Shipping for US Orders.